In 2016⁄17 he is Artist-in-Residence at the Dresdner Philharmonie, where he will demonstrate his artistic versatility in four separate programs – including the season’s opening night – as both a singer and conductor. Aside from Händel and Mozart arias from large-scale operas and oratorios, he will present chamber cantatas, concerti grossi and early Mozart symphonies, as well as George Benjamin’s Dream of the Song, a solo cantata written especially for him. He will later give the French premiere of Dream of the Song with the Orchestre de Paris and Daniel Harding and the American premiere with the Boston Symphony under Andris Nelsons in both Boston and in New York’s Carnegie Hall. On the operatic stage he can be seen as Hamor in a new production of the Händel oratorio Jephtha at De Nederlandse Opera Amsterdam with Ivor Bolton conducting, as Bertarido in Händel’s Rodelinda at the Teatro Real Madrid, and as Farnace in Mozart’s Mitridate at the Royal Opera House Covent Garden London. In spring 2017 he takes his chamber program “Mi palpita il cor” on tour in Spain. Highlights of recent seasons include the creation of the role of Angel 1/Boy in George Benjamin’s celebrated opera Written on Skin (Aix-en-Provence, the Netherlands Opera and the Royal Opera House), the world premiere of George Benjamin’s Dream of the Song with the Royal Concertgebouw Orchestra Amsterdam, Benjamin himself conducting, the world premiere of Toshio Hosokawa’s Stilles Meer for the Hamburg Staatsoper (role of Stephan), plus a new production of Gluck’s Orfeo ed Euridice under the baton of Daniel Barenboim at the Staatsoper Unter den Linden Berlin. He returned for his tenth season to the Salzburg Festival in 2016, where he was heard in Händel’s Belshazzar together with Accademia Bizantina conducted by Ottavio Dantone, and presented a recital of solo cantatas in the Haus für Mozart entitled “Mi palpita il cor” with La Nuova Musica. In addition to his work as a singer, Mehta has recently begun accepting one or two conducting engagements per season, such as his 2016⁄17 Residency with the Dresden Philharmonic, and giving vocal masterclasses, most recently for the Young Singers Project at the Salzburg Festival. Bejun Mehta is represented on a vast array of recordings. His latest solo CD, a collection of classical arias entitled Che Puro Ciel (Akademie für Alte Musk Berlin/Jacobs/Harmonia Mundi) was released in autumn 2014 and was awarded Le Diamant d’Opera Magazine, the Choc de Classica, and was shortlisted for the 2014 Gramophone Award in the Recital category. Down by the Salley Gardens, a collection of English art song, was released in 2011 (with Julius Drake/Harmonia Mundi). Ombra Cara, Bejun’s bestselling recording of Händel arias (Freiburger Barockorchester/Jacobs/Harmonia Mundi), was awarded the 2011 Echo Klassik as Opera Recording of the Year. In 2016, the live recording of George Benjamin‘s Dream of the Song with the Royal Concertgebouw Orchestra, George Benjamin conducting, was published as part of the Concertgebouw Orchestra’s in-house series RCO Live, Horizon7. In 2014, Deutsche Grammophon/Archiv released a new complete studio recording of Orlando with Bejun in the title role (B’Rock/Jacobs), which was shortlisted for the Preis der Deutschen Schallplattenkritik. Also in 2014, ArtHausMusik released a theatrical film version of Gluck’s Orfeo ed Euridice shot entirely on location at the Český Krumlov Castle in which Bejun both starred as Orfeo and was the Artistic Advisor. Bejun makes a cameo appearance on El Maestro Farinelli, Pablo Heras-Casado’s debut recording on Deutsche Grammophon/Archiv (2014), singing two of Farinelli’s greatest hits. Also available on CD and DVD are Benjamin’s Written on Skin (Nimbus CD–BBC Magazine 2014 Premiere Recording of the Year; and Opus Arte DVD–2014 Gramophone Award-Contemporary, 2014 Diapason D’Or, 2014 Edison Klassiek), Agrippina (BBC Music Magazine’s 2012 Opera Award and nominated for a Grammy as Best Opera Recording of the Year) and Belshazzar (both on Harmonia Mundi), Theodora (C-Major Entertainment/Unitel, shortlisted for the Preis der Deutschen Schallplattenkritik), Mitridate (Decca), Messiah (Unitel Classics), Britten’s A Midsummer Night’s Dream (Glyndebourne Label), and Rodelinda (Belvedere DVD #10144, 2011 Theater an der Wien/Concentus Musicus Wien/Harnoncourt). 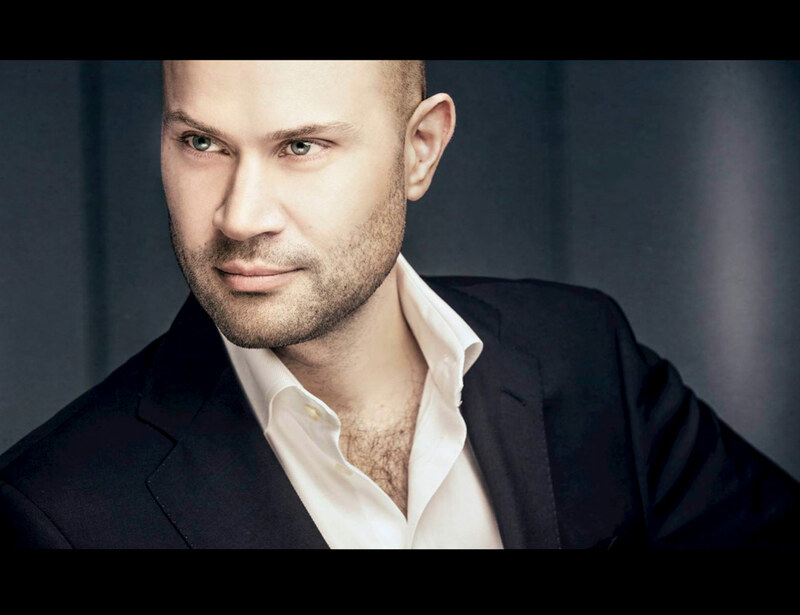 Bejun Mehta has been profiled in numerous TV features for Arte, ARD, ORF 2, TW-1 and CBS-TV. He was nominated for a Laurence Olivier Award (ROH Orlando 2007) and is the recipient of the 2015 Traetta Prize. He holds an honor’s degree in German literature from Yale.